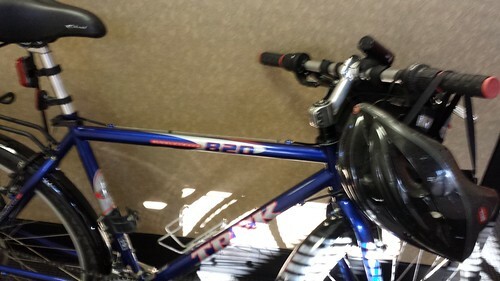 My goal is to ride my bike to work a couple days a week. I think riding my bike to work is a great use of my time. I like the idea of using my commute as time to exercise. Last week, after we moved to the new house, I got my bike fixed. For a week rode my bike several times. It did not take me long to figure out I did not have what it took to ride to work. So I made a plan on how I could ride to bike to work. I knew if I waited until I was ready, it would take way too long. 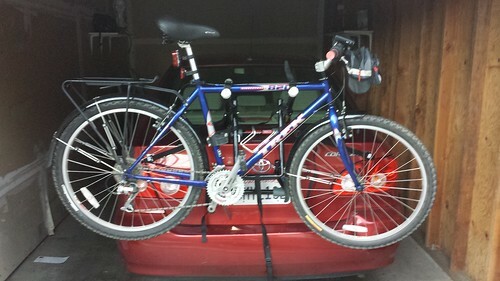 I bought a bike rack so I could drive half way to work. I could park along the route to work. Today I rode to work. It took me about 20 minutes in the car and 30 minutes on the bike. The ride was hard but I was still in condition to work. Now all I need to do and keep it up until I can ride all the way to work on my bike.